“With computers in our hands at any given moment, increasing screen time does take a toll on our mental, physical and emotional health..."
I had the pleasure of interviewing Daniella Bloom, LMFT. She is a transformational keynote speaker and coach specializing in honest human connections. 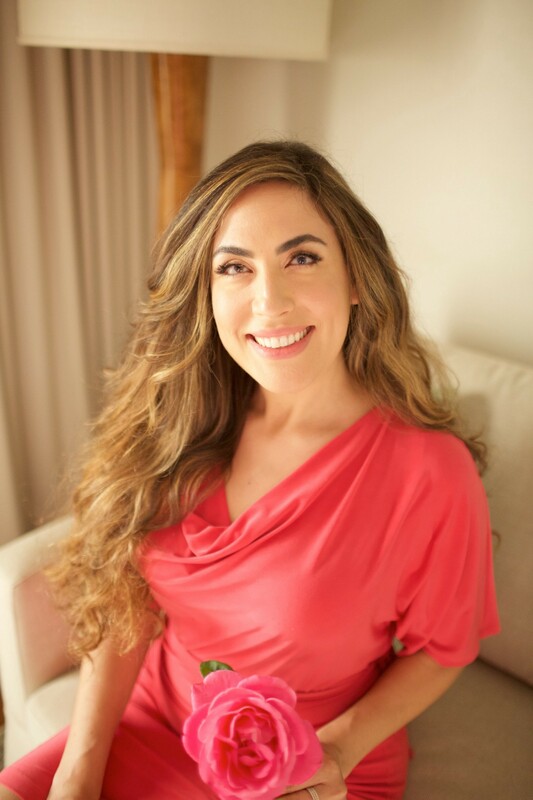 She is known as LA’s Premiere Divorcée Success Coach and Dating Optimization Expert for men and women entering their next chapter. She is also a #1 best-selling author and advocate for peace in the middle-east and international women’s rights. Daniella is a frequent invited guest on television, print, and radio. She works with single, married and divorced individuals through her groups, one-to-one coaching intensives, and retreats. Daniella finds the humor, insight, and honesty in what unites us all from different ages, stages, and backgrounds. Thank you for having me. I am a psychotherapist turned transformational speaker and coach who has created a successful business doing the work I was called to do. This allows me to travel the world, speak and work with men and women who are yearning to be re-inspired to their full potential in life and love again. This is the backstory: From your pain comes your purpose. Like so many of us today, I have stepped off the marriage platform after sixteen years of marriage and am now a recent single mom of three beautiful children. Going through my own divorce, has given me the opportunity to unapologetically take the stage literally and figuratively, and contribute to a greater audience in the way I am meant to. Yes! I am writing a sorely needed memoir called “Good Wife Gone Wild: A Divorcée’s Guide to Magnetizing Men, Manifesting Hidden Dreams and Making Her Own Money,” which will be available mid-fall. With computers in our hands at any given moment, increasing screen time does take a toll on our mental, physical and emotional health, if we allow it to. I run the operation of my business essentially through my phone much of the time, yet I am also a single mother with majority custody who takes and picks up my three kids everyday from school. Being there for my children is a priority and it’s hard to squeeze a full-time business into school hours. Learning how to manage professional expectations and deadlines, and be present as a mother, friend, and family member takes definitive actions steps to achieve. Absolutely! So let’s be real, technology for children and adults today is a BIG part of our daily operations. From GPS, to emails, to current social media statuses, our brains are now wired where many of us literally cannot function without an internet connection. With endless possibilities to occupy our attention, here are my top 5 technology lifestyle changes and tweaks that will dramatically improve the quality of your life, and those of the people around you. Eye Contact: A powerful body language tool today. When you make the conscious choice in front of another, to close your technology and be fully present, you are conveying to the person that what they are saying is important to you. It is important enough for you to stop any distractions and focus on them. Giving someone your full attention by making eye contact, gives that individual the gift of feeling seen and heard. Bonus points if you have children and can actually bend down to their eye level. Eat dinner together, sans tech, for improved long-term mental health and bonding. Whether it’s just you and your spouse, or with children, studies have shown consistently than regular dinners together have huge benefits. If technology is in the way, there is no real chance to share authentically on the day, the funny parts, the frustrating parts, upcoming plans, etc. When you sit down to eat with your loved ones, you cannot unwind unless you’re offline. On-demand access to mood-enhancing music: Find anything from a zen music meditation station to a hip-moving, shoulder-swaying beat on your tablet/phone that will start your day on the right foot and help you work more effectively. It’s easy to find what you are looking for on Spotify, Pandora, and Youtube. Psychoacoustics- the study of the perception of sound, and the ways in which it affects you mentally, emotionally and even physically, is a real thing. Positive mood-enhancing music will effortlessly change your brain chemistry, lower your blood pressure and regulate your breathing just to name a few! Instant availability to multi-sensory information. We are lucky that with just a few clicks, there is such easy access to all sorts of incredible information online. Whether it’s great content on self-help or sea turtles, we have videos, podcasts, and articles that help us process new information for visual, auditory, and experiential learners. If you are a parent, let each child choose a subject of interest to spend five minutes learning about together online. It’s amazing what you will learn by encouraging their curiosity. Youtube works best for this. Strong boundaries around screen-time: It is important to make the structured decision and enforce it on a daily basis when your technology will or will not be used. If you are able to unplug consistently from technology, you will stay empowered, and not enslaved to it. If you have children, you will be setting a good example for them on setting limits and the importance of human connection. If you don’t want them buried in their screens all the time, don’t bury yourself in yours! When a telemarketer calls you, you can ask to be removed from their list. Most smartphone carriers can now identify spam/sales calls before you even have to answer. Don’t allow your attention to be divided from your task at hand with needless push notifications. I know many of us have a fear of missing out, FOMO. Yet, the majority of our notifications and group updates are not imperative, and can wait. Get rid of as many push notifications as possible. However, it’s always nice to know when you are receiving money:) Those other notifications, including social media, will still be there waiting for you. But you can check them on your time, not the app’s. I am guilty of this myself. It’s amazing how much we’ve missed while we were sleeping lol. There is, however, a better way to start mornings off without involving a phone screen. With the news-flashes and emails waiting, it will likely evoke an increased heart-rate for the wrong reasons. Since we are waking up from a semi-meditative state, I recommend to my clients to “TAGG” your mornings.” Start with giving Thanks to what is going your way, what is already working out for you. Affirm what you desire, and Give momentum to your Goals that bring you joy: -Have several mantras handy — positive statements or affirmation that feel empowering to say. The more specific you are, the better. For example, On Thanks: I am so appreciative of my health and wellness, the weather today, the new client who called, the kindness Ava showed Adam etc. On Affirmations: I will have a productive day today, my work is in demand, money comes easily to me, my relationship with my children is stronger and stronger. On Goals: I see and feel myself getting that promotion at work, I know I will become best selling author. Then take a few minutes to visualize and feel into it. Get as detailed as possible. Where are you? What are you wearing, holding, doing, smelling, tasting? According to Abraham Hicks, if you can sustain that kind of full attention for 17 seconds to that multisensory visualization daily, that is all the momentum you need to push the manifestation into fruition. “Luck is opportunity meeting preparation,” I heard this from Oprah and love it. This is something I am actually really passionate about. In proven physics, and a Law of Attraction basic principle, “like attracts “like.” To attract great love and great opportunity back to you, you must magnetize greatness first. You will only manifest to your full potential in love and life, if your energetic foundation is strong once again. Most men and women of all ages and backgrounds, do not have a strong energetic foundation. They are living an internally imbalanced life feeling overwhelmed, depleted, tapped out, resentful and unappreciated on a likely regular basis. This is often because many of us today are actually living in the weighted energy of the masculine. Masculine energy has its roots in giving. Like the balancing symbols of the Yin/Yang and the Star of David, men and women both need a balance of masculine and feminine energies to thrive. Feminine energy, the ability to feel free, open, present, alive, has its roots in receiving. It’s time to swing the pendulum back into equilibrium, by increasing the energy of the feminine for optional manifestation. Every master manifestor utilizes the following principles consistently, and so can you!. Fully receive praise and self-care graciously: Ask for and delegate support; Cultivate and trust your inner intuition; Get back into nature and into your senses without technology; Laugh more, Exercise your creative talent regularly, and be in gratitude with what is already working for you! If you start to implement a combination of these seven basic balancing principles, you will be on your way to clearly knowing who you are again, and what exactly you wish to align yourself with. For extended information on these 7 Foundational Principles of including the number one missing essential game-changing component, watch my free entertaining and candid video with PDF: The Manifestation Foundation: What YOU Need to Know to Change the Trajectory of Your Life Starting Today, available at www.DaniellaBloom.com.